Item # 313184 Stash Points: 5,995 (?) This is the number of points you get in The Zumiez Stash for purchasing this item. Stash points are redeemable for exclusive rewards only available to Zumiez Stash members. To redeem your points check out the rewards catalog on thestash.zumiez.com. 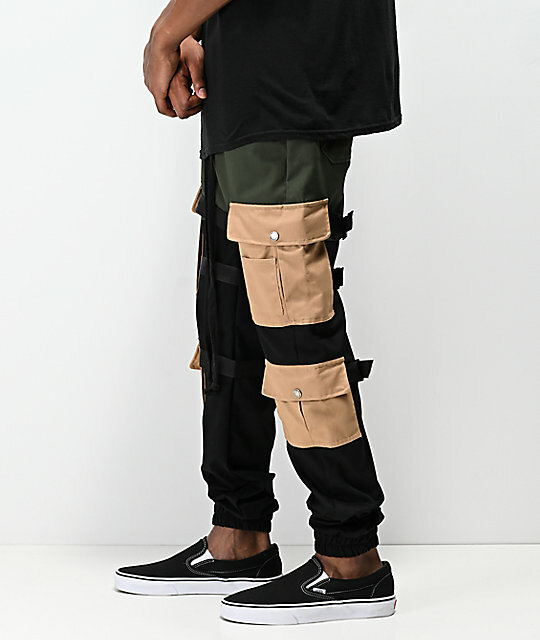 Shake up your pants rotation with the American Stitch Cargo Strap Olive & Khaki Jogger Pants. 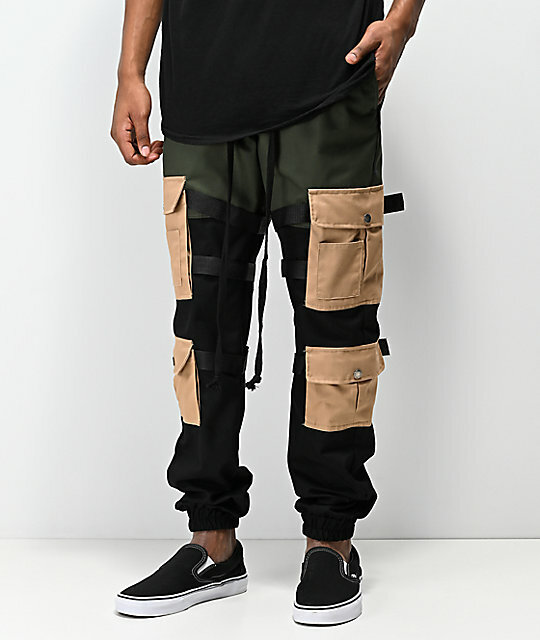 These pants feature a hybrid of style from an army-fatigue inspired colorway, to a traditional jogger pant silhouette. 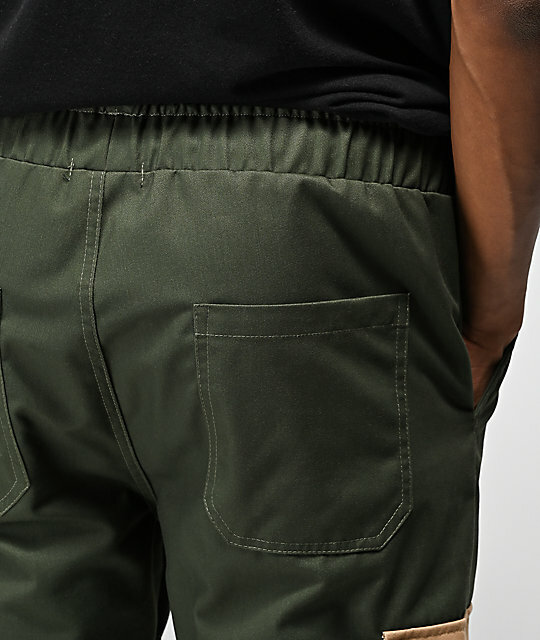 Four traditional cargo pant pockets line the legs while a classic four pocket configuration around the waist provides additional storage space. Finished off with three black cinch straps wrapped around each leg for an adjustable silhouette, these pants can fit as tight or loose to your legs as you want in organically original style. 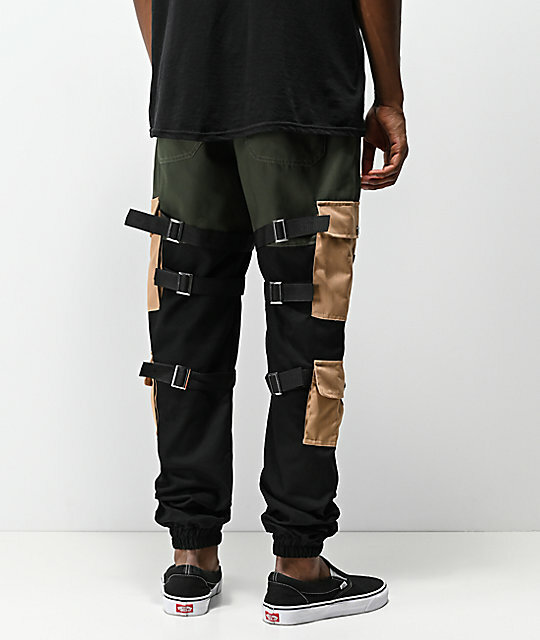 Cargo Strap Olive & Khaki Jogger Pants from American Stitch. 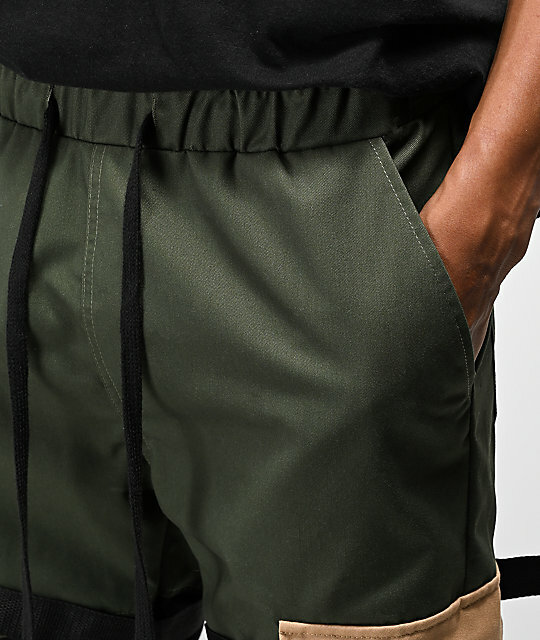 Olive, khaki and black color block construction. Two traditional cargo leg pockets per leg. Three traditional belt style cinch straps per leg in black.